Wichita Lineman is another of my all time favourite songs. It has that timeless quality that just transports you back in time. It was written by Jimmy Webb and was first recorded by Glen Campbell. I think it is one of those songs that a combination of country, a ballad and pop. In 1968 it was a top 3 hit for Glen Campbell on the Billboard Hot 100 and it January 1969 it went to number 7 in the UK charts. REM covered Wichita Lineman in the 1990s and it appeared on their 1996 EP Bittersweet Me. 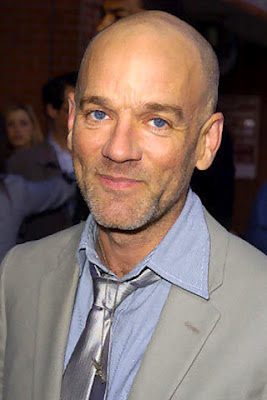 Here is Michael Stipe singing his version of it with Patti Smith's band in the Bowery Ballroom in New York City on New Year's Eve 2011. Patti watches the performance off stage and comes on stage near the end.